The Playbook: Ukelele Chords is the perfect reference guide for anyone playing the Ukelele. Packed into its pocket-sized design are 80 pages of essential information that you'll be able to use wherever you go. The Playbook's design is amazingly practical, so take it with you everywhere you go, and you'll never be caught short not knowing that chord. Furthermore, this beginner's guide includes a handy recommended reading and listening section to enhance your Uke playing even further. 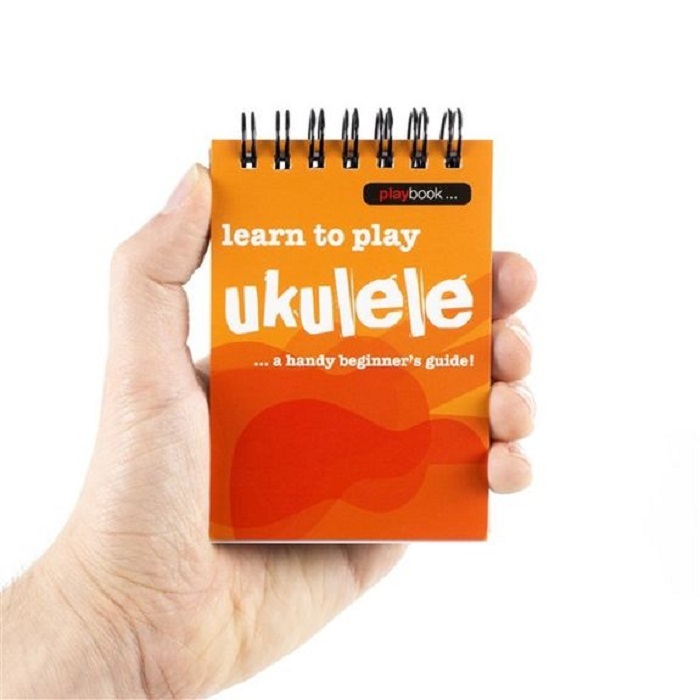 This Playbook features all the most fundamental chords for Ukelele you could ever want to play, and the useful structure of the book enables you to easily flip to the information you want. As the book guides you through the chords from A to G (and everything in between), each one is shown as a chord diagram, photograph and in standard notation to ensure you can get playing as quickly as possible. Also featured are many variations on each chord, such as the Minor, Minor 7th and 7th chords so you can start spicing up your playing straight away. Whether you want to learn them one at a time or use as a quick reference guide, make your practice perfect with the Playbook: Ukulele Chords - the ideal partner for the Ukulele player.